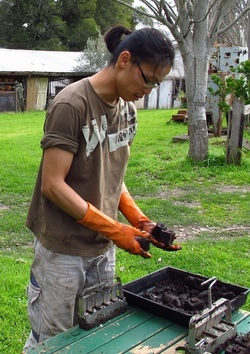 The soil block mix is the key to healthy and strong seedlings. You can experiment and create your own recipe to suit your needs. 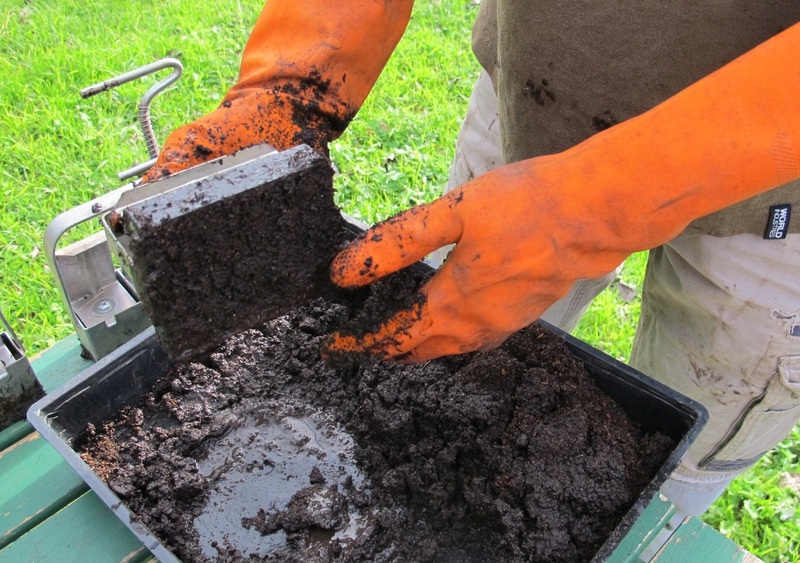 Compost is the major ingredient. 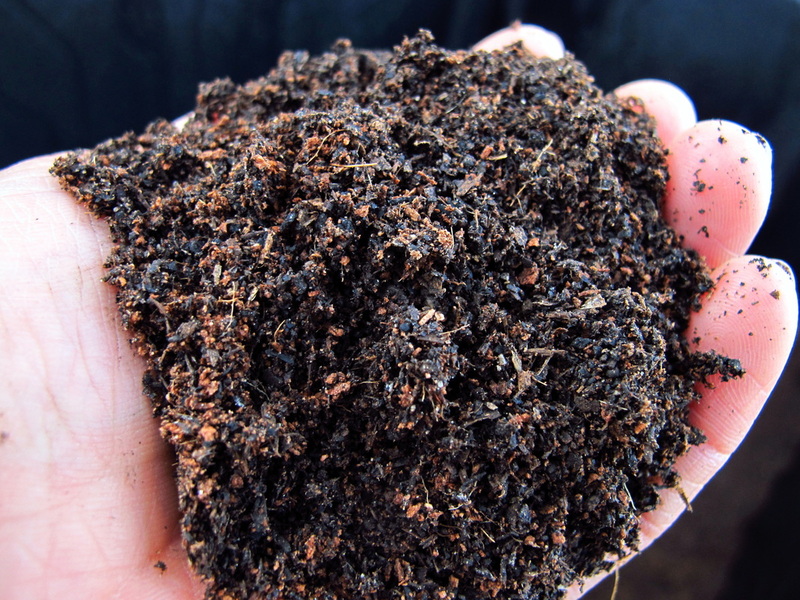 If no other ingredients are available, use compost! 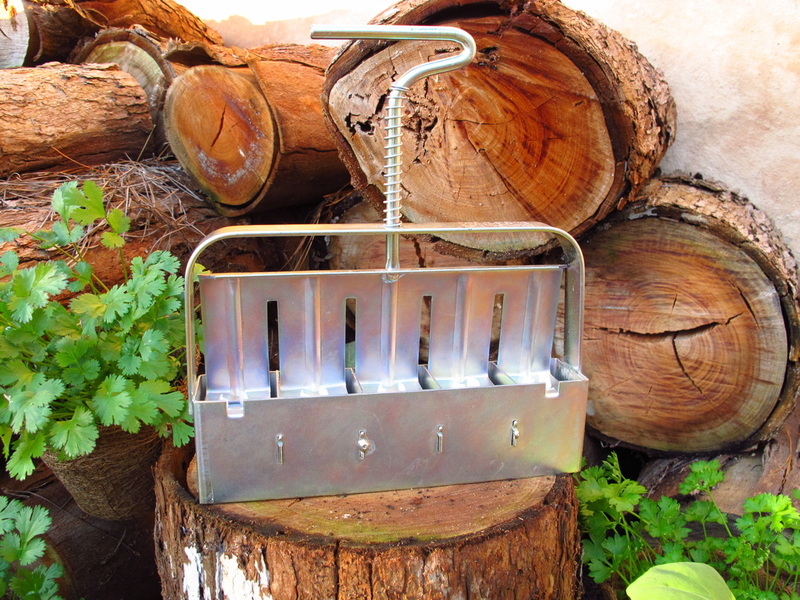 As a guide, 5 litres of mix makes 30 soil blocks when using the Ladbrooke Mini 4 soil blocker. Mix dry ingredients together. Note: If you are mixing for the first time, set aside ~ 1/3 of the total mix. You will be able to add this back later if your accidentally add too much water and your mix becomes too wet. In a container with a flat bottom (e.g. old baking tray or large tub), add 1 part water to 2 parts dry mix and mix well. You are after a consistency of sticky mud or porridge. Add more water until the right consistency is obtained. To check that your mix is of a good consistency for blocking simply squeeze a handful. Drops of water being squeezed out of the mix? – Great! A stream of water running down? – add more dry mix. No water dripping out? – add more water. Push the Soil Blocker down into the mix. This is known as 'charging' the blocker. A useful way to tell if you have enough mix in the blocker is to look for water seeping at the top of the tool. You may need to charge several times. We find that having the mix 7-8 cm deep results in efficient charging, such that we only need to charge once. Twist the tool slightly (to remove any suction) and lift. Scrape any excess mix from the bottom of the blocker. 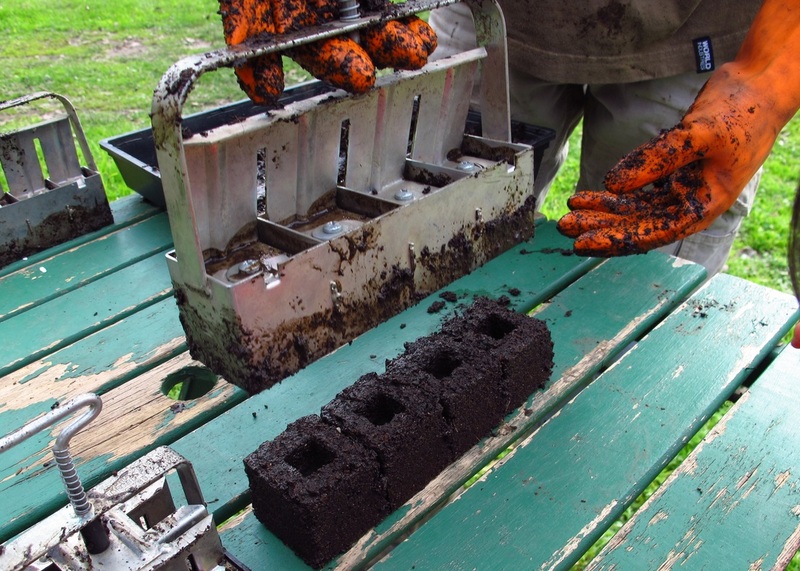 Eject the soil blocks into your desired tray. Step 1. Charge the Soil Blocker. Step 3. Scrape off excess mix. Step 4. 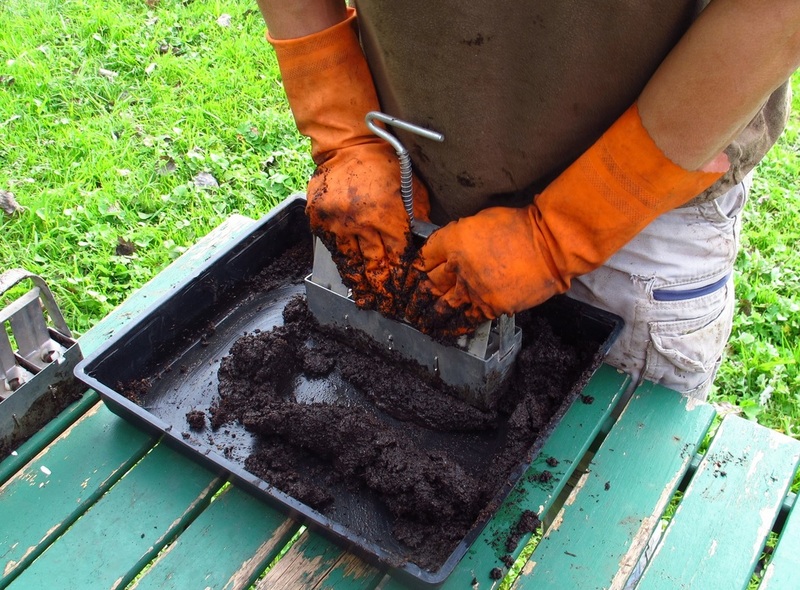 Eject the Soil Blocks. Eltham & Montmorency, Melbourne, Victoria, Australia.